I’m finally here!! 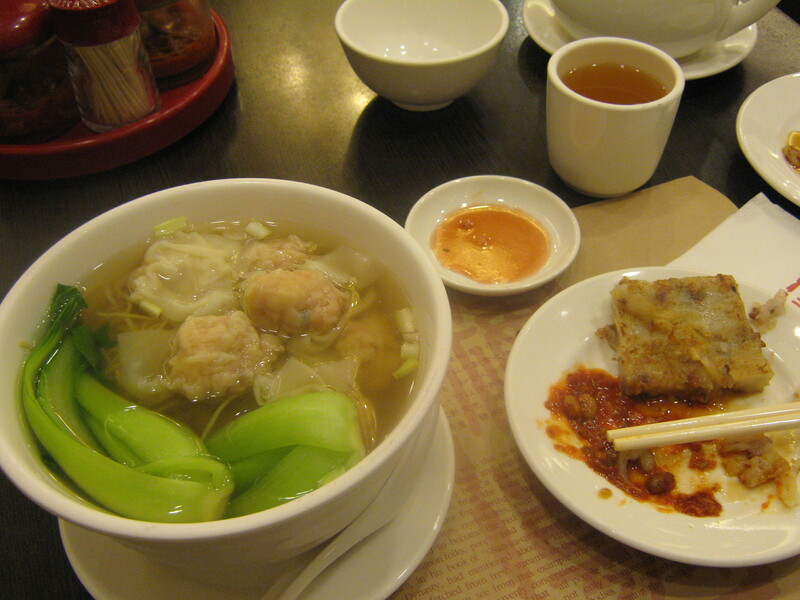 My first day in Taipei was spent eating and not getting hit by cars, not necessarily in that order. I arrived in Taiwan safely and without too much fuss. It was 19 hours total travel time, one layover in Anchorage, Alaska, and several hours spent sleeping, thanks to a potent combination of sleep deprivation prior to the trip, a double vodka tonic served up by a bartender in New York (that tasted like rubbing alcohol), and some NyQuil (taken after the layover, NOT with the cocktail, don’t worry). I was met by a friendly woman who works for the Foundation for Scholarly Exchange (Fulbright Taiwan), who made me feel very welcome and helped me check in to the hotel. 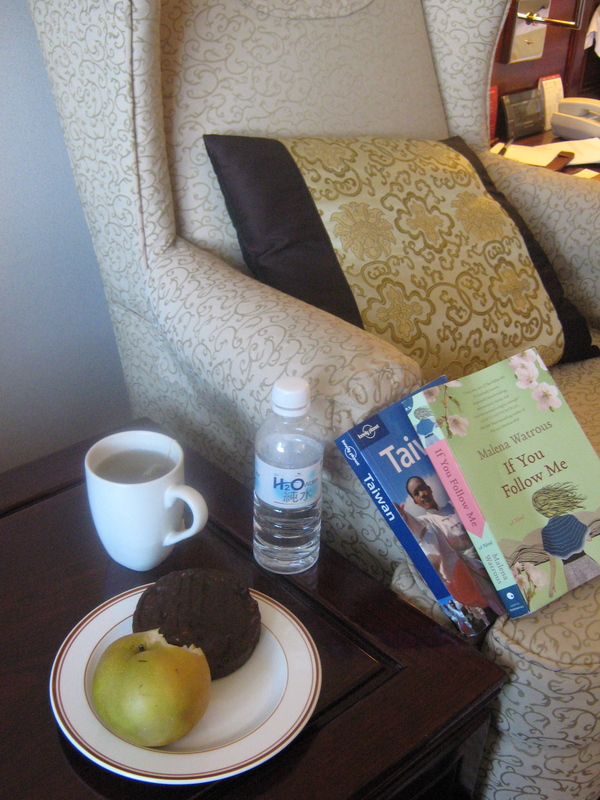 Breakfast in the room: carob covered rice cake from Sag Harbor, apple pear from the hotel, water, tea, and books.